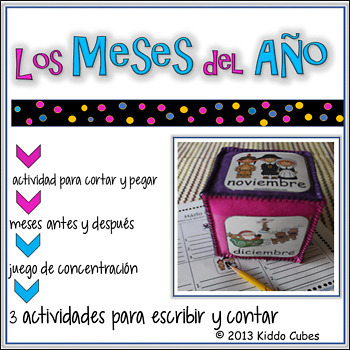 If you want to make sure your students will remember the names of the months of the year and the holidays associated with them, these inserts are just what you are looking for. There are two sets of cards. 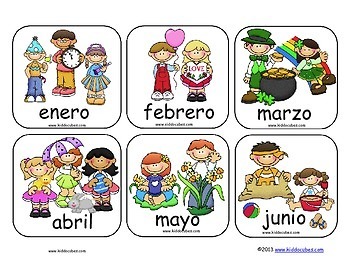 One set includes labeled pictures of the months of the year. The second set is not labeled. Also, there are six activity sheets. 1. A matching activity –cut and glue. 2. 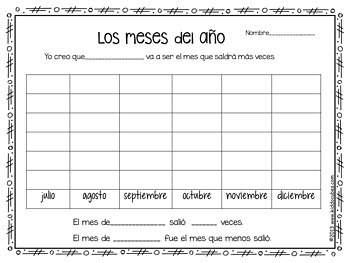 Fill in the month before and after. 4. Three Roll activities -writing, counting and graphing.